This topic contains 16 replies, has 7 voices, and was last updated by Universal Head 7 months ago. One of the delights of finally being settled here in NZ is setting up my game room and office. And at last I have a chance to have a decent miniatures storage system. 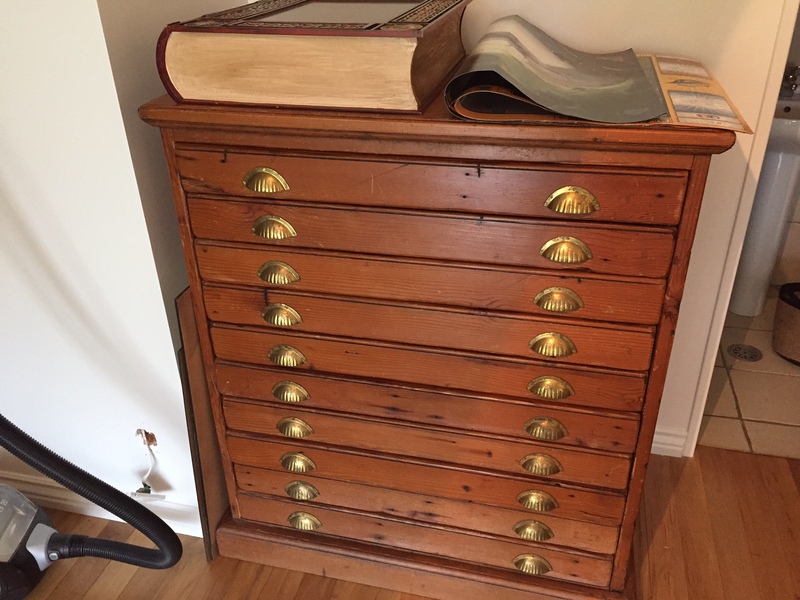 And here it is in progress – an antique plan drawer I’ve had for years, easily converted by cutting thin steel sheets to size and placing them in the drawers. Very Nice!! I am assuming that you are laying down steel sheets because you magnetized ALL the miniatures bases? Correct! 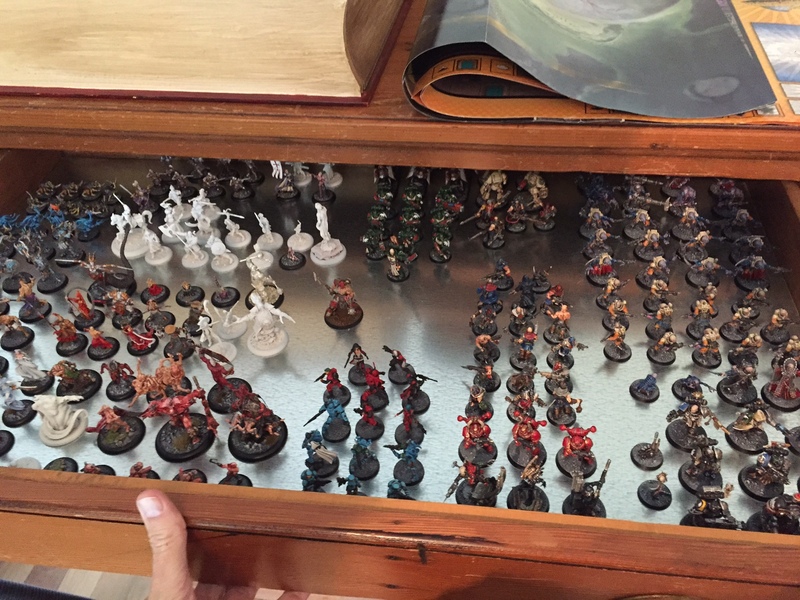 It’s the best way of storing minis I reckon, especially as they have become more detailed and fragile, and getting them in and out of foam can damage them. That looks fantastic! 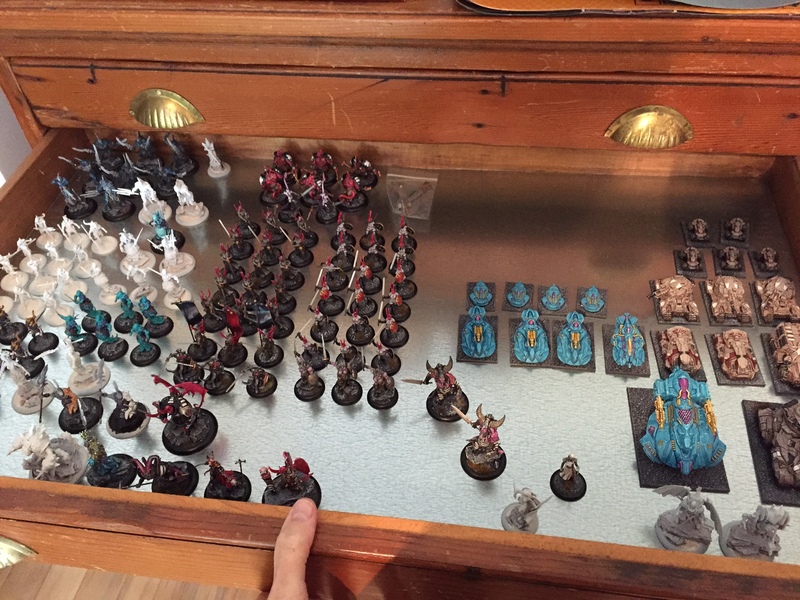 Possible to lock 2 drawers together for the bigger minis? What I mean is that you open 2 drawers at once…but one has no bottom..ist just the “fake outside appearence”…so you have two times the hight für minis? Brilliant, that’s just what I had in mind. I just have to do it in a way that does absolutely minimal damage to my plan drawers. BTW…looking at the spartan games minis…what do you think about that game? I’ve enjoyed it the couple of times I’ve played it, but the rulebook is atrocious and the support for the game from Spartan seems virtually non-existent. In fact it seems to have been all but abandoned in favour of their Halo game. There’s a 14 page thread on their forums complaining about the lack of support for the game, and what appears to be a disgraceful lack of communication from Spartan Games about it, though there’s been vague stuff about a ‘rebirth’ for ages – the last news was over a year ago. Ahhhh, storage. The bane of all us gamers. So nice when you find something that’s both functional and is not a complete eyesore. And I have to say, that looks great. Especially with that War of the Ring: Collector’s Edition on top. Without fail, anyone who enters the room for the first time asks what that is. Then I hit them over the head with it. Well, that’s one way to win a game. Not sure if a concussion is the best way to get them back for a second game though.